Reducing death from hemorrhage is essential since the mortality for patients with traumatic hemorrhagic shock is high (approximately 20%) and there are approximately 30,000 preventable civilian deaths due to traumatic hemorrhage per year in the US alone. The rationale for the use of group O WB early in the resuscitation of massively bleeding patients is multifactorial and is listed in the table below. 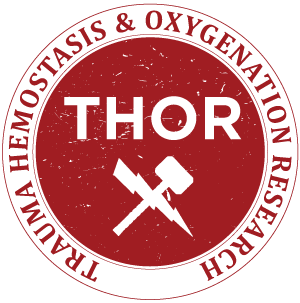 The THOR Network and the US Tactical Combat Casualty Care Committee have both indicated that whole blood is the optimal resuscitative product for patients with life-threatening hemorrhagic shock. Its use, especially in the pre-hospital phase of resuscitation, may dramatically reduce preventable deaths.